You’ll also be the first to hear about delicious new products, recipes, and news from Blue Bunny. - Winn Dixie also sells Blue Blunny and sometimes they have printable coupons. Print a $0.75 coupon for any one Blue Bunny 1.75 QT Premium Ice Cream (excludes single serve), these are manufacturer coupons from the company themselves and should work at your local grocery store. To print your coupon, you must be a member of the iScream Team. 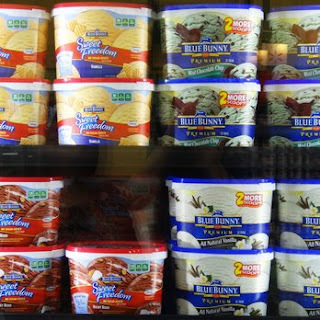 Print out a coupon for a $.75 discount on their ice cream novelties. This coupon is for one box of vanilla sandwiches redeemable only at target, walgreens, and walmart stores.